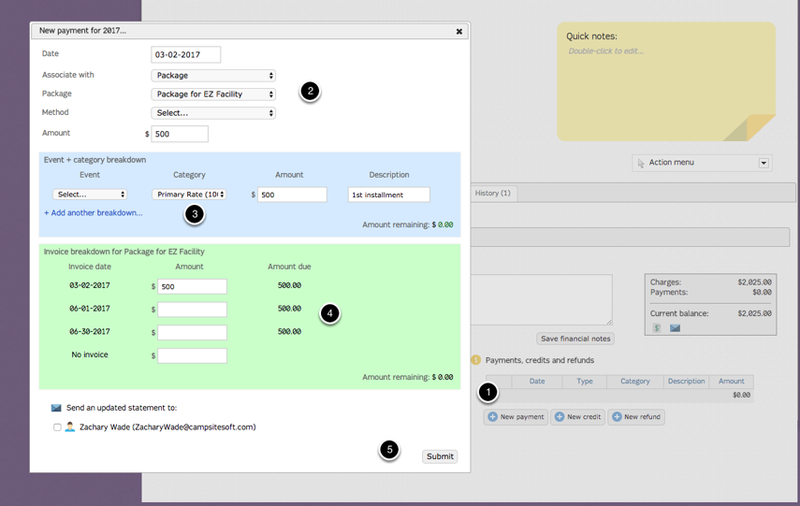 After a package has been created you may want to create package invoices for the client. 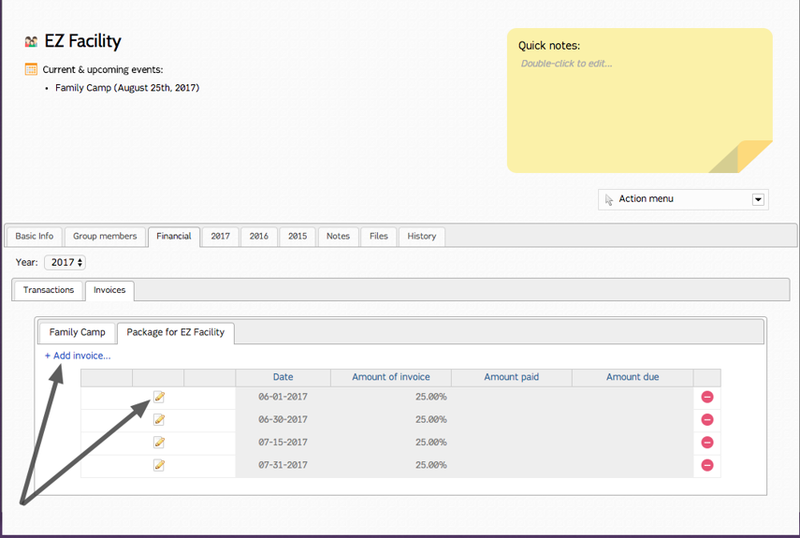 Click on the financial tab to set up your invoices. 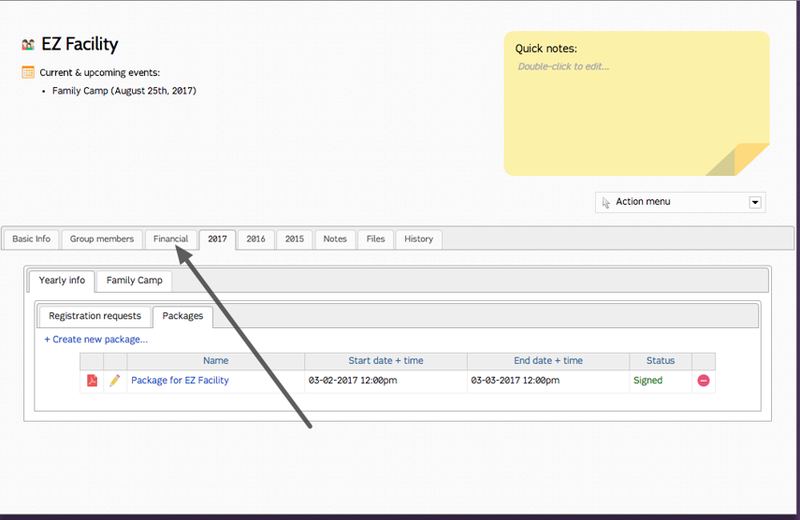 After clicking on the pencil icon (or the Add invoice) you will be allowed to either generate the invoice with the credentials you choose in the installment set up, or select new dates and amounts. View a PDF of the invoice. 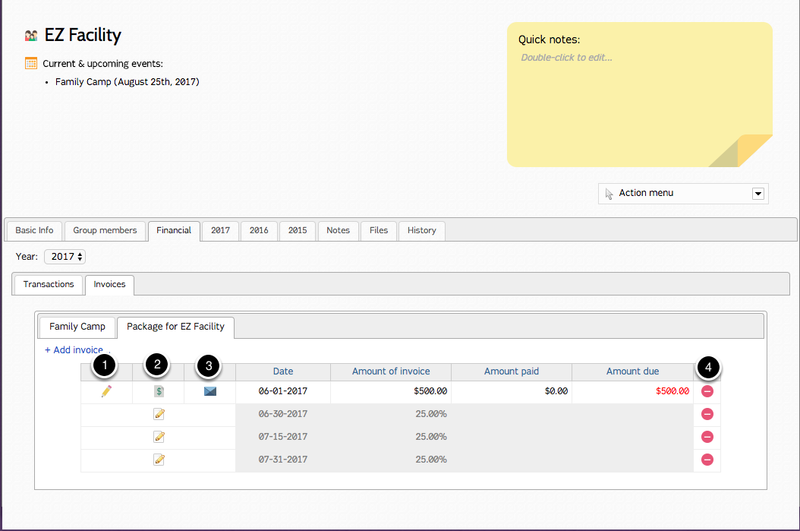 Send an invoice to a group. After a Package is created for a group the rate is sent to the "Charges and discounts" section under the transactions tab. Double click the "i" icon to open the charge. Currently this section only applies to the Events module. Reverse the transaction, or delete the transaction. 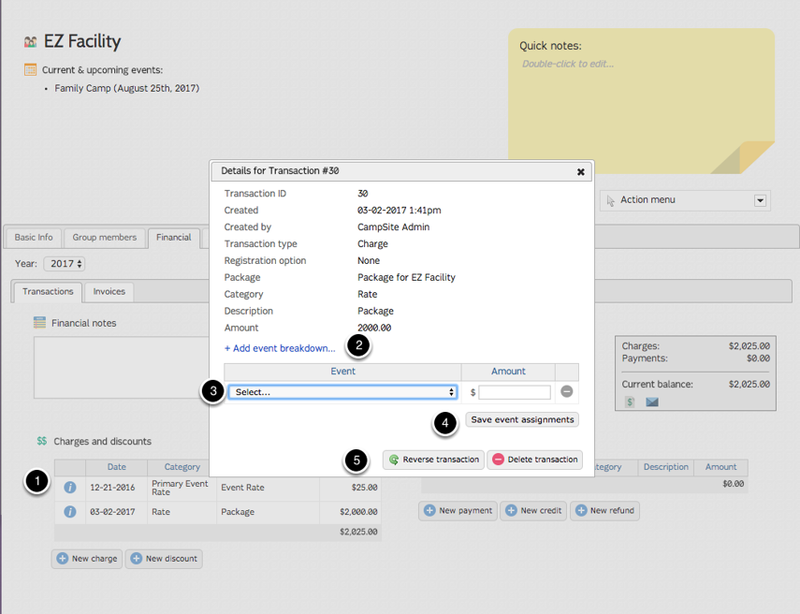 Making a payment functions the same as it does elsewhere in CampSite. The event category currently does not apply to packages, but do select a category, amount, and description. Input the amount you choose above.